I joined Chairman’s Network a few months ago and have attended a number of meetings of the CEO group. The membership is very diverse and I’ve certainly met interesting people I would probably never have encountered otherwise. I’ve learned quite a lot from the meetings, made some good contacts which have led to some interesting business/career ideas. It’s so far delivered more for me than I had expected, I guess through the diversity of the membership and the intelligent curating of the meetings. The Chairman’s Network has proven to be the ideal networking forum for me since I joined a few months ago. The events are of the right frequency, cover a good range of topics and are attended by a wonderfully diverse range of experienced execs/directors in the right numbers - each event is round table and fully interactive. The additional possibility of positions being advertised through the web site is also attractive. More than anything else being a member has proven to be very enjoyable and good fun. The Chairmans Network provided invaluable in helping me identify and approach a senior Executive for a Company that I am advising. I met Peter at a Coffee Morning. We had a general catchup after that and as a result of these two interactions plus a conversation with Caroline – I approached Peter for an opportunity that he has now taken up. I cant think of another networking forum that I have been to where it has been so easy and conducive to develop valuable contacts. Many thanks. 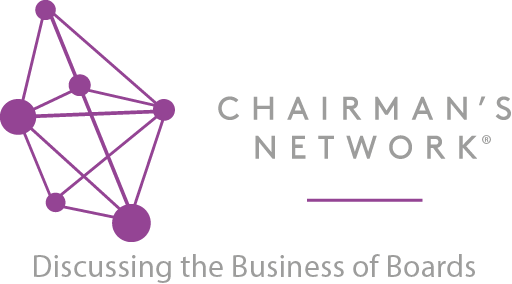 The Chairman's Network is a wonderful network of Board Directors, CEO's and Chairs who can share freely about their issues with little or no ego in the room. A minor miracle! Reflecting the skill, expertise and altruism of its wonderful founder Caroline who is motivated by the honest exchange and supportive networking. I hugely recommend joining if you haven't already. I think you have done a great job of establishing and growing the Chairman’s network. Every meeting I have been to is intimate enough that people really do talk and understand how they can help each other. The discussions are always focused and great at stimulating debate. I always walk away with new contacts and ideas. Having volunteered to lead the women’s group I hope we can extend the success and grow the network of female and indeed male members who want to press for progress on having more women in Board roles and more women Entrepreneurs and Investors. I just wanted to write and express my thanks and appreciation for the very kind invitation to join you at The Chairman’s Network breakfast event yesterday morning at the Harvey Nash offices. I certainly found the event well organised and the topic certainly created some positive and constructive debates through the morning; however, the overriding output for me was the quality of the audience, definitely an extremely senior, relevant and engaged group. Thank you for the opportunity to attend the breakfast and I look forward to attending your future events.